If your game won't work or you experience a bug, take it to our tech support forum. This post may contain old information and is only updated to reflect version changes. Forward[spoiler]At first this mod may seem daunting, but just as the game that served as the initial inspiration for this mod, Dwarf Fortress, it is well worth the time spent learning and mastering the systems.The core premise of TFCraft was initially to make the world a more realistic place. 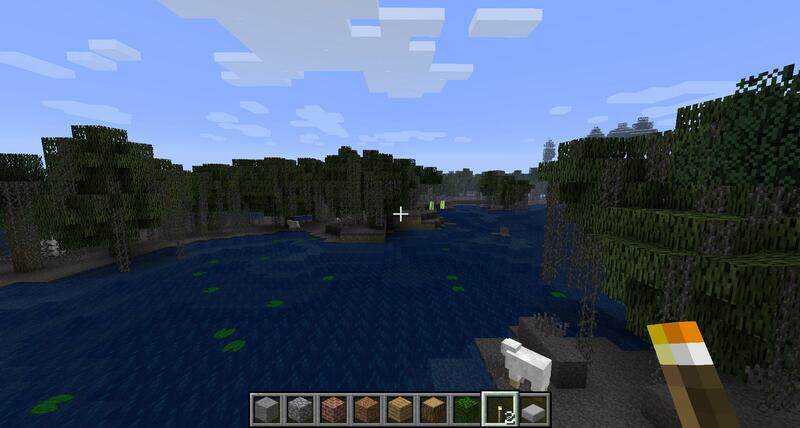 At first this just meant making the geography more realistic, but as time went on, it became apparent that terrain features were not enough to make survival mode feel right. Many others had tried to change things by making new monsters and realms, but it never felt like they addressed the core problem with Survival mode... Resources.In short there are far too many of them and they are far too easy to obtain. Once you've built some walls and a place to sleep at night, you were no longer surviving, you were merely playing Creative mode on hard.With that said, I hope you have an appreciation for why this mod makes the changes that it does. I am very interested in what fans have to say about the mod, good or bad. Input is always welcome, just try to keep it to the forum thread and not PM's, they get annoying to deal with all of the time.TFC_Core will always try to remain as open to use with the vanilla game and other mods as much as possible. Most terrain generation changes will be a part of this module. You may experience a tougher time mining ore with this installed but it should not adversely affect the gameplay of minecraft beyond that. However as this mod becomes more and more complicated, I can no longer guarantee this.However TFC_Game and any associated sub modules may change the game drastically and so may run into compatibility issues as well as most certainly making the game more difficult(but hopefully also more rewarding).This mod should play nice with most major mods. Any incompatibilities will be addressed in the compatibility section below. No ores other than my own will spawn due to how I've rewritten the spawning system. I may look into fixing that later. HOWEVER my mod adds many real ores and metals that other mods also use such as Copper/Tin/Bronze. As long as the other mod uses Forge and has implemented the ore dictionary appropriately, our items should be interchangeable, i.e. TFCraft Brass can be used with RP2 or IC2 Copper can be used with TFCraft. Each of these rock types have different types of ore that only occur in specific rock formations. Kimberlite <--Only ore that can drop Diamonds. Only occurs in Gabbro Rock. Biomes[spoiler]As of this posting I've increased the number of biomes from 16 to over 130. 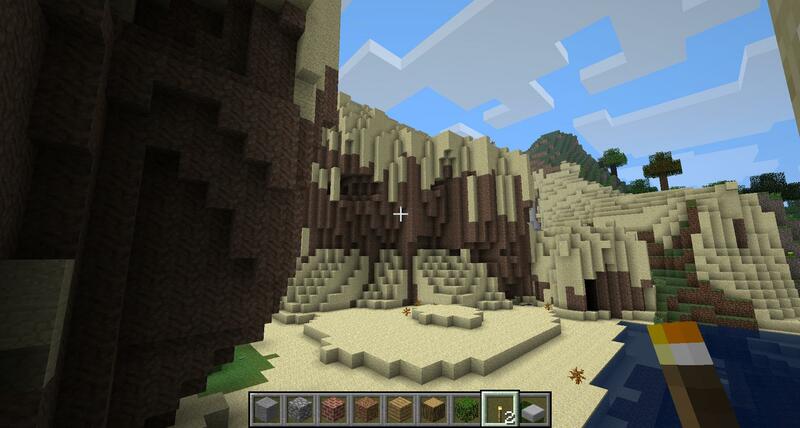 The terrain generation remains the same as default minecraft but the types of rock formations in each of these biomes is different for every one. You might be out exploring and you come across a mountain range of Granite and then a little while later you find another mountain range made of Marble or Slate. Beneath theses ranges there are varying types of rock formations.Biome rock formations are now fully based off the world seed. Is this mod compatible with X mod? Please Visit the Download Section of the TerraFirmaCraft website in order to find the latest versions and changelogs. More screenshots added. I'd like to get some discussion going here if anyone has any ideas, feel free to share. I've decided to add in the ability to pan for gold/platnium/cassiterite/gems. Basically anything that can be found in an alluvial(carried by a river) layer. What this means is that you can build a pan and sift through sand and gravel(once i fix it not spawning) and have a chance to find bits of the ores which can then be melted into bars. Note that this will only work IN or NEAR a river. sifting in a desert will not work the same(should it?). Bump for the new download link. Alpha v1 is out now. This is not in a completely useable state yet! Do NOT plan to have a fully functioning world with this version. I need help determining the ore spawn rates. Use of TMI or NEI to help you explore and mine is recommended. make it smp when you get the ssp side all sorted out and you'll have one greatest mods i have seen. Author of Fluid Mechanics, Assembly Line, ICBM, Come Closer, and Artillects. Including Java Freelancer for hire specializing in creating and fixing minecraft mods. Oh SMP is planned. I play almost exclusively SMP with a few friends and family, so it will definitely happen. Just released Alpha 3. I'm going to try and get this moved to the primary mod section so that hopefully I can get some life around here I'm incredibly short on ideas and welcome any feedback! Well I see that this got moved from WIP while i was asleep, good. I'm hoping to have the ore dictionary implemented within a few hours. Hopefully I can just figure it out myself or find a tutorial on it. Then i guess I need to go play some dwarf fortress since my original plan was to try and implement a lot of its features. I'm looking for new ideas. Workshops I may not do as it turns out. I added some back end for it but my experience with controlling 2 blocks to form the same entity was a nightmare, never mind 7 or 8. If I can come up with a better way of doing things, then we might still see it. We'll have to see. Something that I plan later on down the road is to maybe add some recipes for things like a metal detector that work specifically with IC2. I'd like to mess with the biome code some as well. I'm not entirely sure how well my mod works with other biome enhancing mods. If Another mod adds new biomes then I know it will not function as I edit the biomegenbase file. However, modifying the other files may still work. If anyone has the ability to test it, that would be great. This could become cool, 1 problem though, its in the mods section and not the WIP mods section, probably will get moved or removed(shouldn't be removed though). I'm really looking forward this mod. Will that somehow modify how oil from BuildCraft spawn ? No, Buildcraft handles its spawning differently than ores, as a result, MY mod is perfectly compatible with Buildcraft to the best of my knowledge. Cool gold panning.Is it only in rivers or is it in oceans to. Panning only works in rivers. If you try to do it anywhere else, it will fail. If you watch the video attached int he OP, it shows you how panning works. bioxx, you might want to put up a check list in a spoiler that shows what textures you have, for what earth types, and in what resolution. Oh wow. There aren't a whole lot of mods that impress me this quickly. 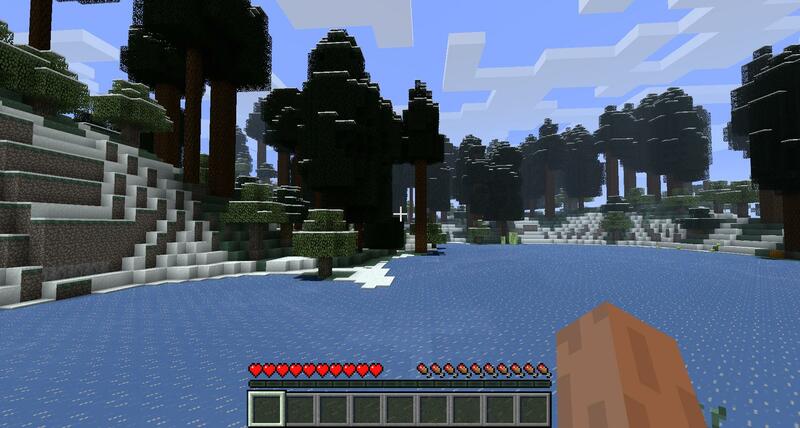 This mod looks really Interesting, Definitely going to download it, and try it out. 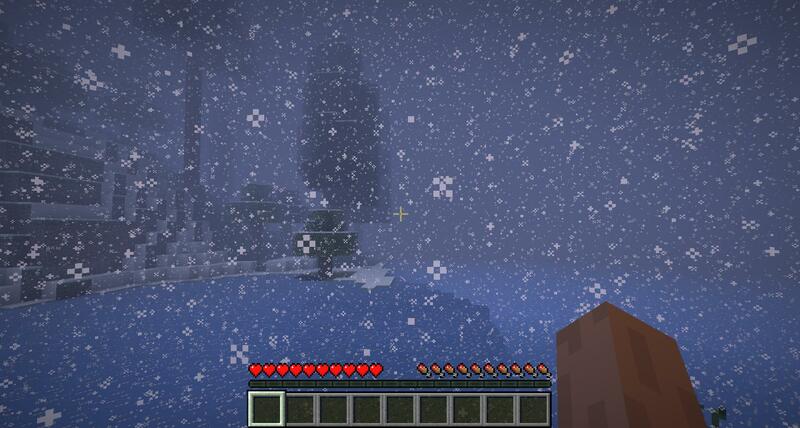 I like where this mod is going, it fits with the minecraft theme. Keep up the good work. question: will you be also adding things to use the new rock, ores and gems with (i.e. tools, weapons, armor)? or just for decor? bumpbioxx, you might want to put up a check list in a spoiler that shows what textures you have, for what earth types, and in what resolution. Thanks for reminding me, I've been planning to get to that, but I always get distracted. I'll be posting a photoshop PSD and png with each texture labeled. I'll try to get to that a little later actually. 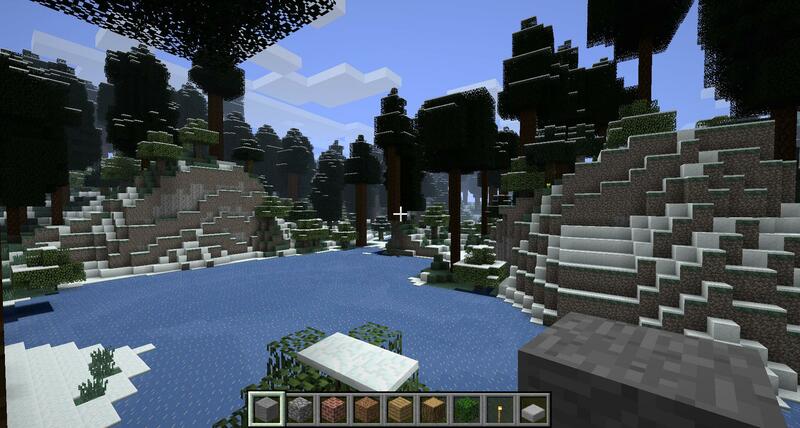 I like where this mod is going, it fits with the minecraft theme. Keep up the good work. question: will you be also adding things to use the new rock, ores and gems with (i.e. tools, weapons, armor)? or just for decor? As far as new items go, the answer is yes and no. Alpha 4, which I hope to release in a few hours should have all of the vanilla recipes being compatible with my rocks. I have added all of my ores and gems to the Minecraft Forge Ore Dictionary which allows other modders to use my ores/gems in their recipes. Of course, I do plan to add my own stuff as well, but a large point of my mod is for it to replace the world but retain usability with other major mods. So that part will come first. Also, I need more ideas. New tools and the like is fine and all, but I need some direction. My imagination is run dry recently and my only ideas are making gold panning more and more complicated lol. If anyone has any ideas that fit the theme, please let me know. I saw this mod and I was like "eh, lets check it out" and then I jizzed over the walls and the floor and the ceiling. I have waited so long for a mod like this. A few people came close, but none were focused enough on the realism. If I might make a suggestion? I like almost EVERYTHING you've done here, but I think that the prospecting might not fit the play style of most minecrafters. So, instead, I would like to suggest an alternative: hiding ore blocks (making them look like any other block, even dropping their native rock block, eg. iron ore would look like stone and drop a stone block, not an iron ore block.) The player then would have to mine the most basic of ores, which are visible to the naked eye (ones that appear as native elements, in large chunks). As the player mines more and more of these ores, they become more adept at spotting ores in rocks. Soon, all of the ores are visible to them. Another thing, I'm not sure if you've implemented this, but what about confining ores to spawn solely in the rock-types in which they are found in real life. Diamonds would be found in a mafic, igneous rock, to emulate kimberlite, and I know for a fact that almost all lapis lazuli deposits are in marble. This would allow players to seek out ores based on the location they are in, rather than a shot in the dark, as it is now. You shouldn't worry about altering the spawn levels of the ores, it's not entirely realistic anyway, what with upthrust and folding. More ideas you say? Why not have igneous intrusions? Rocks such as marble, slate and such could spawn as intrusions in the more common rocks which they metamorphosis from. Marble, a relatively rarer rock, could spawn as pillars and spikes (intrusions) in limestone. Slate could spawn in shale. Another idea: (which might take awhile =P) is to make the rocks have two different textures each(for sedimentary rocks), like wood blocks. The tops and bottoms could have the flat texture and the sides could have the layers. this would make it look more realistic. EDIT: If you're really looking for a challenge, chests use a different block model than the basic stone or dirt block. You could alter the sedimentary block model to look like a rough-edged layered rock. This would make caves look more rocky.